Event design is the art of bringing all aesthetic elements of a wedding into focus; designing and planning each aesthetic aspect with the entirety of the visual experience in mind. Visual elements include bridal party style, venue, lighting, rentals, floral designs, and invitations, to name a few. Allow us to lead the visual creation and conceptual development of your next event and we will ensure a cohesively stunning visual experience not to be forgotten! who is event design for? 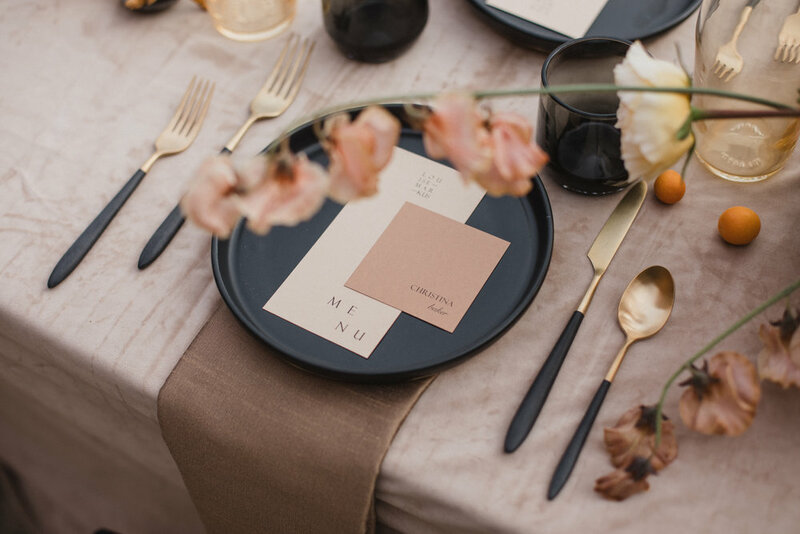 Whether you are planning a celebration of a lifetime, an intimate dinner party, or an editorial photoshoot, we offer design services to accommodate your event. 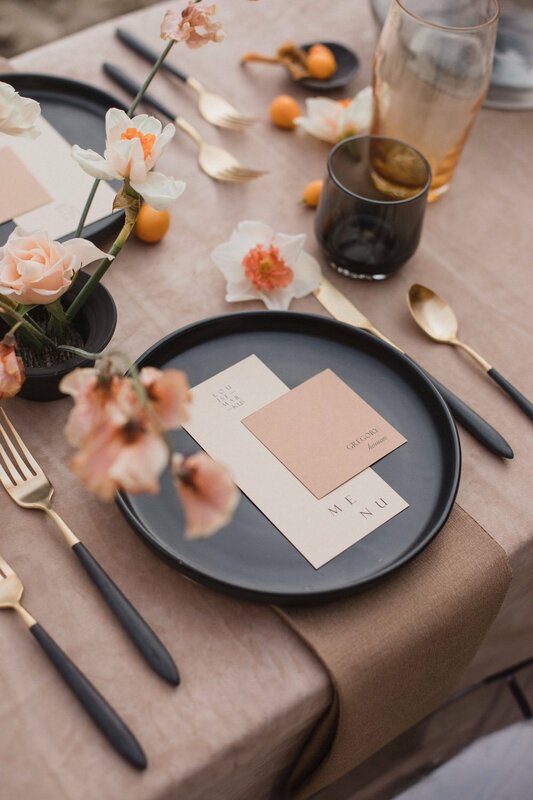 Our packages range from a la carte services to provide visual guidance for small events and photoshoots to our most involved package, enabling us to personally meet with the aesthetic vendors who have been hired to collaborate and provide visual services to your event. Regardless of your event needs, we bring a formal fine art training that meets contemporary creativity, providing a fresh understanding of form, color and movement and apply this in each detail, creating a unique aesthetic experience each time.